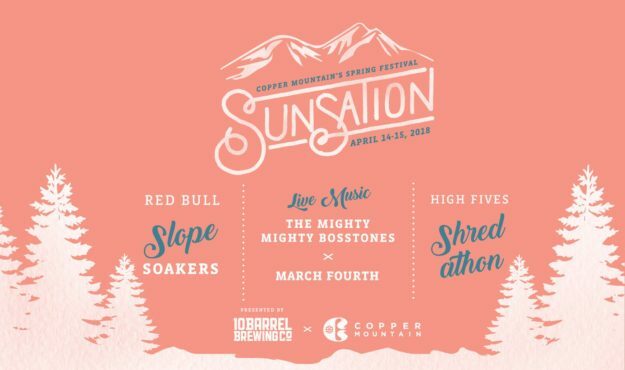 2:00 PM – 7:00 PM Introduction: Semi-professional Rail Jam, featuring live music from El Paso Lasso, live art demonstrations, food and drink available for purchase. There will be a number of vendors, and fun for the entire family. Over Closing Weekend, celebrate the snow, sunshine and end of the 2017-18 Winter Season with Crested Butte Mountain Resort’s annual SkiTown Breakdown concert and the LandShark Pond Skim. The Pond Skim takes place on Saturday, April 7, beginning at 3 pm when participants in costumes attempt to make it all the way across in the pond in front of a giant crowd of hecklers and a few fun-loving judges! Saturday, April 6: Trout Steak Revival at Crested Butte Center for the Arts at 8 pm. Stay tuned to www.skicb.com/events for more information regarding SkiTown Breakdown. 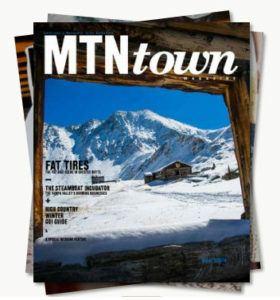 spring music festival, SkiTown Breakdown, sponsored by the Town of Mount Crested Butte! You like beer. You like margaritas. We see no reason to make you choose. All weekend, we’re cranking the Jimmy Buffett tunes and celebrating the beginning of spring. 3:00 p.m. Gorrono closes for the season! 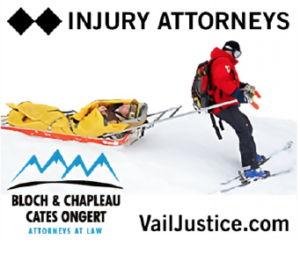 A leg-burning, on-mountain event combined with a rockin’ après party. Lapping the Pali not your thing, but parties are? Then join us in the A-Frame for our annual Enduro Après Party! 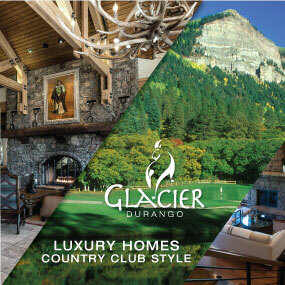 We’ll have live music, a huge silent auction and a chef inspired dinner created by A-Basin’s own Chef Vlass. 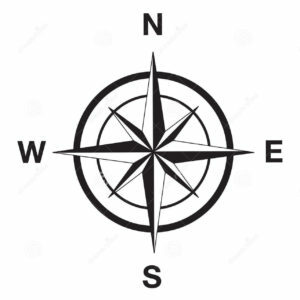 Event Beneficiary: All proceeds will benefit a local family or community member in need. 35 teams of two take laps up the Pallavicini (Pali) chair and either ski or ride down the mountain on designated lines from 7:00 a.m. to 5:00 p.m. without stopping. The entry fee is $150 for teams of two and includes a t-shirt, the 2018 Enduro poster, dinner, a beer or beverage, bib drawing for prizes, the Après Party in the A-Frame, and bragging rights! Check in starts at 6:00 a.m. in the Rental Shop in the Winter Sports Building, with a mandatory participant meeting at 6:30 a.m. The US Forest Service and Loveland Ski Area team up to host Loveland’s Ski with a Ranger Day! Join a Forest Service Snow Ranger for a fun, free, and easy run centered around the relationships between Loveland and the land we all enjoy so much. 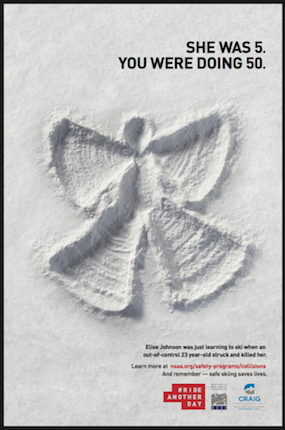 Topics include glacial geology, winter ecology, local history, and partnerships and are suited for all ages (recommended for ages 8+). Simply meet at Ptarmigan Roost Cabin at the top of the Ptarmigan Lift at either 10:30am or 1:30pm for a run with the Snow Ranger (plan to get there 15 minutes early. 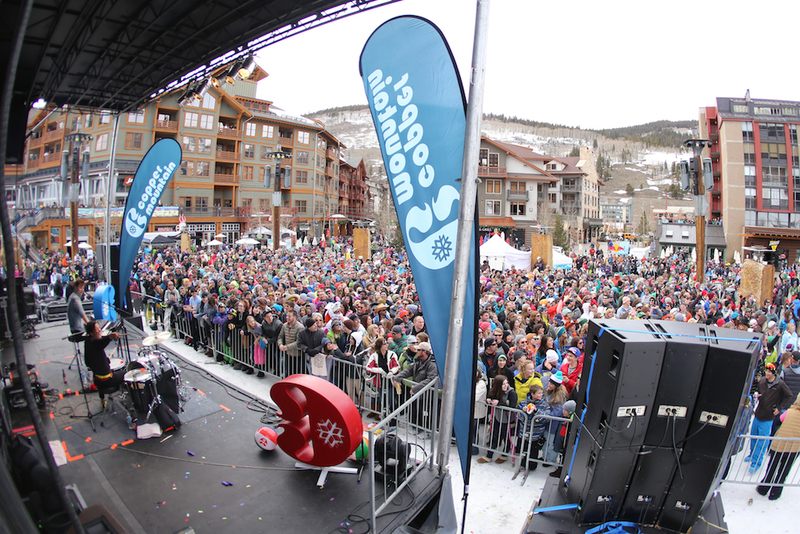 Spring Fling, the weekend of April 14-15, closes out Snowmass’ 50th anniversary season with a bang! 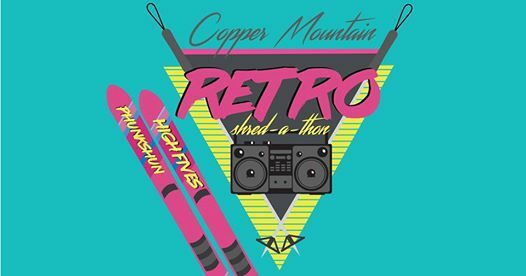 The Retro Shred-a-Thon at Copper Mountain is back! 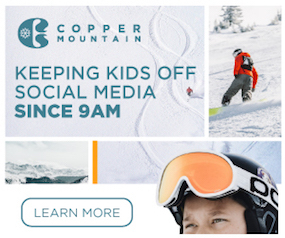 The High Fives Foundation and Phunkshun Wear will be taking over Copper, lapping all day on American Eagle lift to raise funds for injured mountain action sports athletes. Purchase Locals Benefit Day discounted lift tickets online at least 48-hours in advance. Join Vail for the end-of-season splash with World Pond Skimming Championships, après parties, Bud Light Bags Tournament and more. A-Basin’s Green Team is having a party for Earth Day 2018! We’re partnering with Protect Our Winters (POW) to bring you a fun day of carpooling and sustainability. We’ll also host an après party with drink specials and prize drawings! All proceeds benefit POW. Show your commitment to the environment and carpool to The Basin! Everyone who shows up with three or more people in their car will receive free Smartwool socks, plus raffle tickets to the Après Party at 1:00 p.m. on the A-Frame Perch. 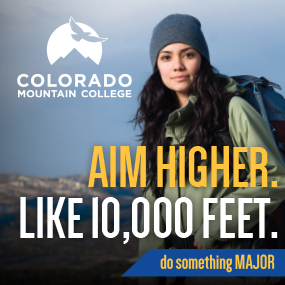 Come explore our mountain! This scavenger hunt will take you around Arapahoe Basin in search of how we make our mountain more sustainable. Fill out your “passport” and win a prize! Loveland Ski Area is excited to host the 17th annual Corn Harvest benefit ski party for the Colorado Avalanche Information Center. The Colorado Avalanche Information Center plays a much bigger role in your skiing safety than you might think. 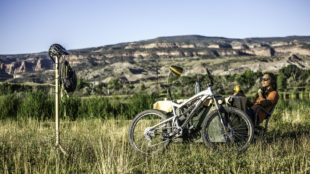 Not only is this organization an invaluable source for backcountry travelers, but anyone who has driven on I-70 have the CIAC to thank in part for their safe travels along this highway. Come show your support for this amazing organization. Meet in the Basin Lodge the morning of to register. Packages that include lift ticket, lunch, New Belgium Beer, raffle, and donation will be available. Stay tuned for package pricing information. Meet up with Loveland locals as they show some of the secret stashes and best parts of the mountain. The BBQ lunch kicks off at 11:30am so you can refuel for the afternoon. Live music begins on the Basin Patio at 2:30pm as the New Belgium Beer begins to flow! The Corn Harvest raffle, which starts at 3:30pm, is not to be missed as sponsors throw down big with these prizes, so make sure you stock up on extra raffle tickets!